Open your eyes… Design All Around Us. Sometimes we find design in unexpected places. Often we are so distracted by the environment that we don’t see what is right in front of us. 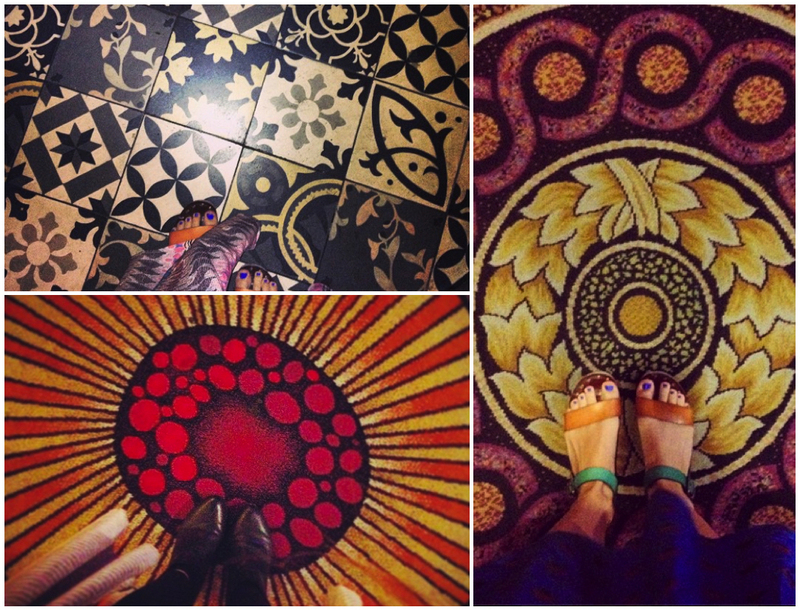 People don’t go to Las Vegas to see beautiful design, but if you look around… it’s there… often right under our feet! This entry was posted in Bold Color, Bright Color, Color, Color Trend, Design, Design Works International, Designer, Fusion, Global, Global Prints, HGTV, HGTVHome, Home, Las Vegas, Nancy Fire, Out & About, pattern, print, print & pattern, Surface design, Tile Trend, Tiles, travel, Trend Blogs, Trend prediction, Trending, Uncategorized and tagged beautiful design, carpet, Christine Johansen, Design, Design Works International, Fusion, HGTV, HGTVHome, Home, Interior Design, Las Vegas, Nancy Fire, Product Design, rugs, Surface design, Textiles, travel, Trend Blogs, Trend prediction, Trending, Trends, unexpected places by Design Works International. Bookmark the permalink.